Chief Kristen Ziman: What makes you come alive? In positive psychology, there is a phrase called being “in flow”. This means that you are engaged in an activity that you enjoy that is neither too challenging nor too easy. It requires the perfect amount of concentration and you know you are “in flow” when the world around you seems to fade away. You lose all sense of time because you are fully immersed in what you are doing. It is the thing that makes you come alive – your passion. Many of us may find ourselves “in flow” when we are participating in a hobby. When I write, I lose myself. In fact, I don’t normally know exactly how I think or feel about something until I sit at the computer and watch the words pour out. It is my sub-conscious thoughts that come from deep within my mind and I struggle to type fast enough to keep up. 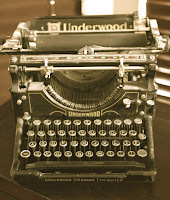 I often begin with one topic and am amazed when the words I’ve strung together to create sentences never follow the same path on which I began. Being a patrol officer put me in the same state of flow. I loved that job. I liked being tied to the radio and answering calls because I never knew where the next one would take me. I loved the challenge of conflict and the psychology of human nature that I encountered each time someone called 9-1-1. I liked the feeling of fear and learning to push through it. I loved the satisfaction of being on the right side of justice. In Aurora’s not so distant past, we went from call to call and I can often remember looking at my watch wondering where the 8 hours went. I was “in flow”. 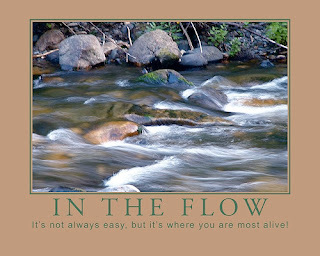 Many people aren’t “in flow” in their life’s work. For many, their occupation or job is something they have to do to make ends meet – not something they want to do. The luckiest people in the world are those who have found a way to incorporate their passion (flow) with sustainable income. Imagine the thing that moves you every day and imagine waking up every morning and being able to spend your day doing that very thing. Now imagine getting a paycheck for it. That’s why it makes sense to figure out what you love to do first and then pursue that as an occupation. Unfortunately, that isn’t typical of how life works. I love to write but that certainly doesn’t mean that I would be able to generate income from it. If it were that easy, there would be no starving artists. Fortunately, I love policing and even though I’m not in the squad car anymore, I get immense satisfaction from watching the men and women who are out there doing the work. When I see the results of their accomplishments and how that translates into a peaceful city for our citizens, it gives me purpose. Even though many of us aren’t spending our days “in flow”, finding purpose in our life’s work is the next best thing. If you stop for a moment and think about how your job contributes to the world, it reframes your existence. A mail-carrier might think their job mundane as putting mail into mailboxes day in and day out may seem that way. But what they are actually doing is connecting people from around the world. See the difference? When you change the way you think, you can find meaning in almost anything. As you traverse into 2014, find ways to bring new meaning to your current existence. Determine what you are doing when you are “in flow”. Figure out the thing that makes you come alive. Now go do more of that.